Is there an event or person that you want to pay homage to, but not sure how? Do you have a local fundraising group, but not sure how to get more people to donate? Or are you just a group or individual that needs to advertise your idea, or your company? Then designing your own T-shirt at Teespring.com might be the answer for you! Sometimes like in my case, I might not have a particular skill that can contribute to a fundraiser, I can’t bake, I am learning how to draw, but those things won’t help the group earn any donations. 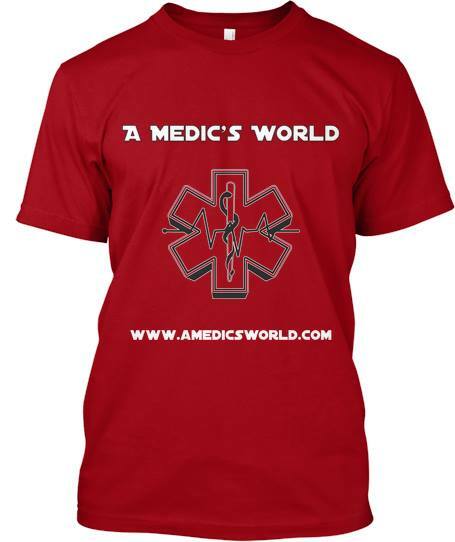 I can however design a really cool shirt over at Teespring.com and try to get the word out about buying one, and what cause it goes to, and who it will benefit. Designing the T-Shirt is easy, the website takes you through step by step, allowing you to use countless templates or graphics that they have right on the site. You can also upload your own graphics to make it work with the design process. There are T-shirt color choices based on the style of the t-shirt you are choosing, and they have different styles based on your needs, for female, male or unisex shirts. I was able to design the following T-Shirt for my website in about 8 minutes. Your time will vary depending on how much lettering you have, or artwork to supply, or the choices made for the front or back of the t-shirt. I am sharing my example with you to show you that it’s possible to create a nice looking t-shirt in no time! If you would like to help support this site, and get a cool looking T-Shirt, you can check out my campaign for the above T-Shirt here. I am just trying to sell 30 to start off with, not a large number, but enough to see if there would be interest in something like this in the future! What’s nice is that you are never at risk unless the minimum number of shirts you want to sell meets its goal, they will never be printed till the order quota is met, which takes a burden off of you if you can’t reach your goal. I really enjoyed the process of making my own shirt. If you would like to find out more about how to do this yourself, visit Teespring.com today. I think this is a great fundraising idea. It’s very original. I’m honestly so tired of kids with candy bars, pizzas, and magazines coming to my door. I think (in this day and age) it would be so easy for a school or organization to advertise t-shirts for sale to raise money. Me too. Thanks so much for your comment. Have a great day! It’s nice to know there is an easy fast way to start fundraising. And to me it’s nicer than selling a box of candy bars door to door. The best thing to me is being able to create your own design for the t-shirt. It is a neat little process. Thanks for taking time to comment, I do really appreciate you being here.